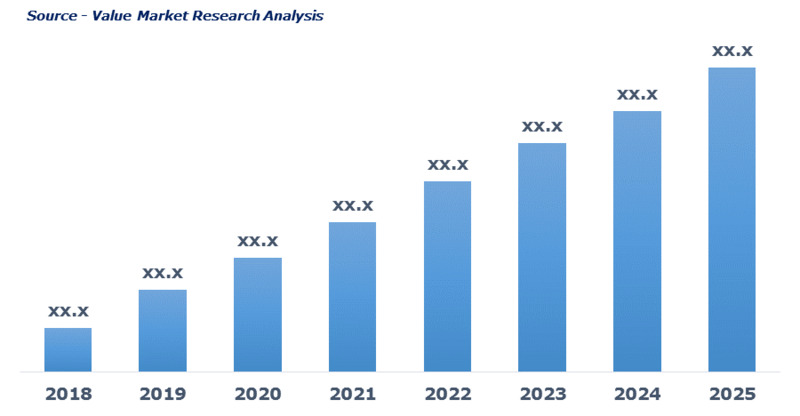 As per this study the Global Varicose Veins Treatment Market was valued USD 1.1 BN (by revenue) in 2018 and is anticipated to reach USD 1.7 BN by 2025 with a CAGR of 6.5%. Varicose veins are the dark purple colored, enlarged, twisted veins of legs and feet that result in to frequent itching, pain and related discomfort. Severe condition may lead to ulcers, formation of blood clots and even bleeding of the veins. Preliminary treatment includes wearing of compression stocking, but in severe condition, sclerotherapy, laser surgeries, catheter including procedure, vein stripping, ambulatory phlebectomy, and others.